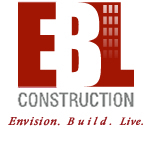 EBL has been hired for PreConstruction services with LCOR a repeat client. Current scope involces renovation of existing Clubhouse and Amenities. EBL will perform as a design builder for the project.